Audi E-Tron Quattro is Here, Should Tesla Be Worried? We can safely say that 2015 is the year when most major car manufacturers grasped the idea of luxury, all electric vehicles. 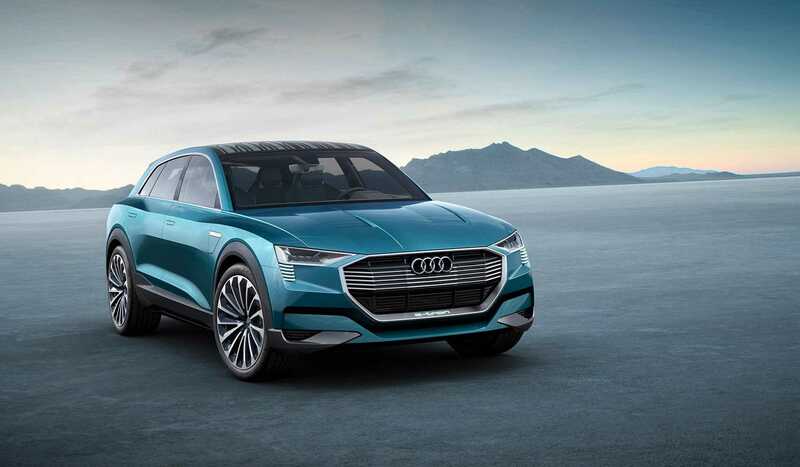 The last in line is Audi, with its E-tron Quattro, a concept SUV that the German manufacturer hopes will lure luxury customers into the market of electric vehicles. Volkswagen opened the barrage at the Frankfurt Motor Show plug-in concepts, but everyone knew that Audi’s E-tron will be the star of the show. At the moment, the E-Tron Quattro is just a concept, but according to sources and reports, it will become reality by 2018. Audi says that the concept is the future of the company and shows what we can expect the cars in the next years. For starters, Audi E-tron Quattro might have the highest mileage of all electric vehicles announced or released so far. Powered by three electric motors, the E-Tron can go up to 311 miles on a single charge. Another concept vehicle, Porsche Mission E Concept, also previewed at the Frankfurt Motor show, can go up to 310 miles. The three motors, two of which are positioned on the rear axle and one on the front, combine for a power of 429hp when driving in normal conditions. Customers can choose to boost the power of the SUV when they want, which will be less fuel efficient, but the power can go up to 496hp. With so much power under the hood, the Audi E-Tron Quattro can sprint to 60mph in just 4.6 seconds and reach top speed 130mph. Now, we must mention that this is not the speed that Tesla offers with the ludicrous boost, but it is still good enough. The concept car will feature a 95 kWh battery inside and Audi says that a 150 kW fast charger can get the battery to 100% in just 50 minutes. However, the problem is that finding such a plug will be mission impossible, even with technology expected to advance in 2018. 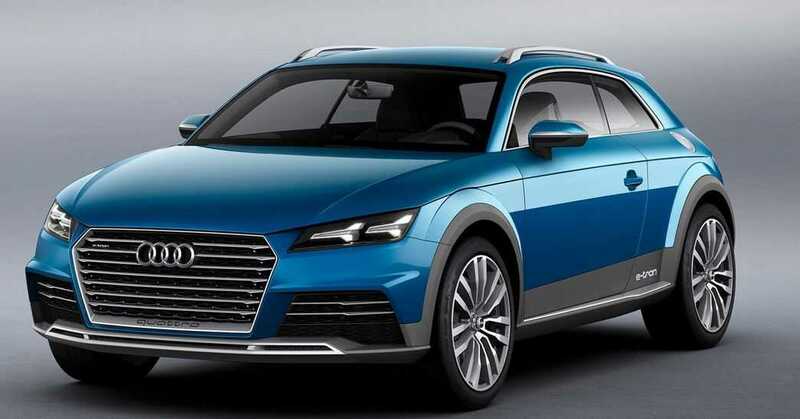 As for the exterior of the concept, Audi says that the crossover has a coupe-like silhouette. The E-Tron sits between the Q5 and Q7 in size. It is 16 feet long, 5.1 feet high and 6.3 feet wide. Inside, there are four seats, two for the front and two for the rear passengers. Some other goodies include Matrix OLED lights that are debuting on the E-tron. Audi has also installed a solar roof on top of the vehicle, which should help with charging of the battery during sunny days.